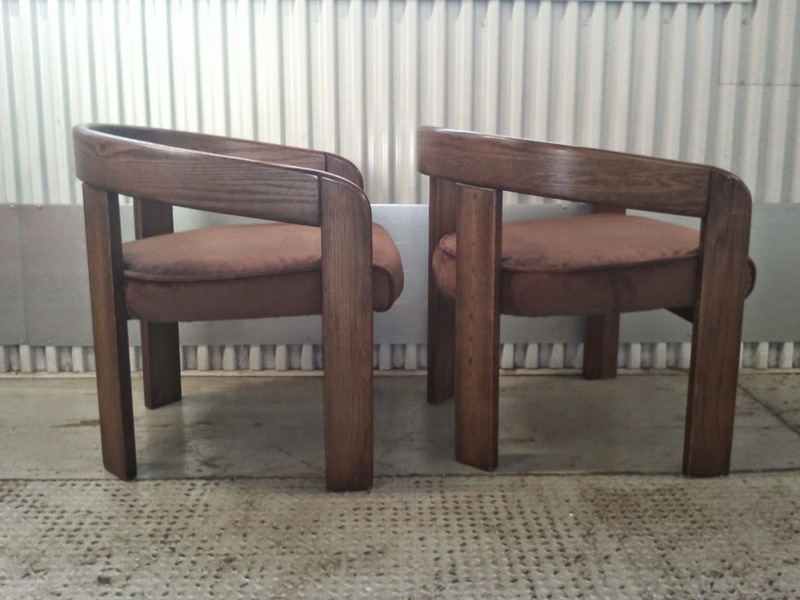 After all of the upholstery drama, I'm totally out of love with the Ward Bennett chairs (above)! Can you believe, it? Yes, after having them re-reupholstered! 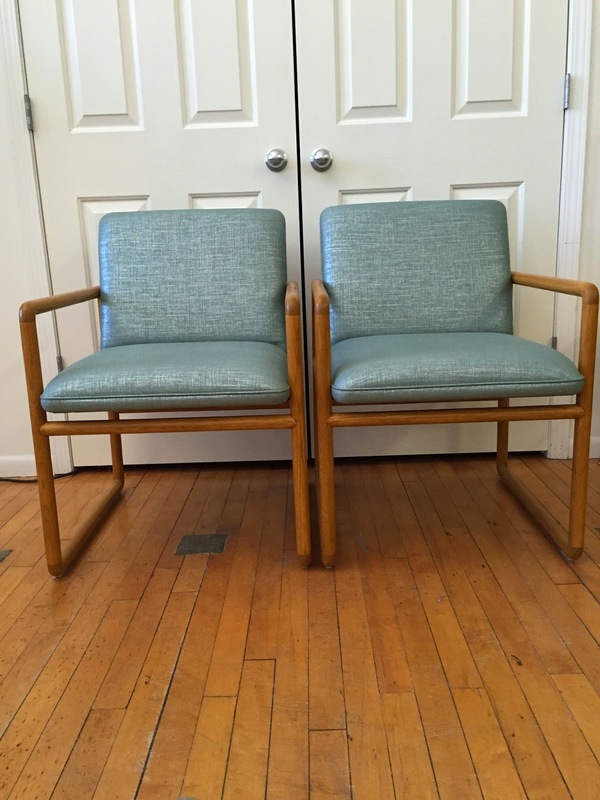 In pure design fashion and Craigslist (CL) karma, a pair that I prefer, far more, popped up on the Chicago CL 2 days AFTER I returned to Duluth- a pair of, 1 owner, mint condition, vintage Westnofa chairs and the ottoman (wow!) for a bargain and a half! That's exactly what I get for strolling on CL after returning to Duluth! I fell in love and had my girlfriend and her husband drive 1 hour out of the city, they got lost so it was 2 hours, to purchase them for me. Now the chairs are in Chicago and I'm in Duluth. I've listed the blue Bennett chairs for sale- hilarious! Not exactly sure if the Westnofas will make it to Duluth by week six. 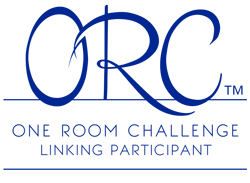 Thank goodness I took the pressure off by deciding NOT to attempt these projects during the ORC! Trust me, it's been enough to MOVE from one state to another, unpack, and find a place for everything. I am thankful for the ORC because it's kept me moving, creating the momentum I need to meet my goal of getting my place together relatively quickly. Otherwise, I might have attempted to live in a labyrinth of boxes and misplaced furniture for a few months, after I caught my breath! Ha! 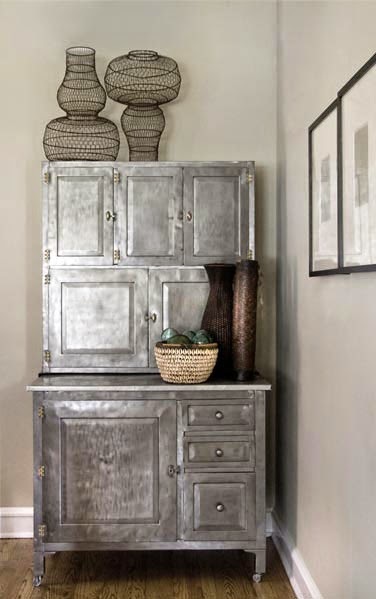 However, I'll be stripping paint from metal and polishing metal cabinets most all of the summer. Good thing I like the work! This, essentially, is "jam" week, for me! I've gotten all packing/packaging materials out of my life. Just when you think you've gotten the last packing peanut out of your life another 5 pop up, literally out of nowhere. I will, however, have to employ someone to hang my objets d'art above the kitchen shelves, hopefully their schedule will work with mine. 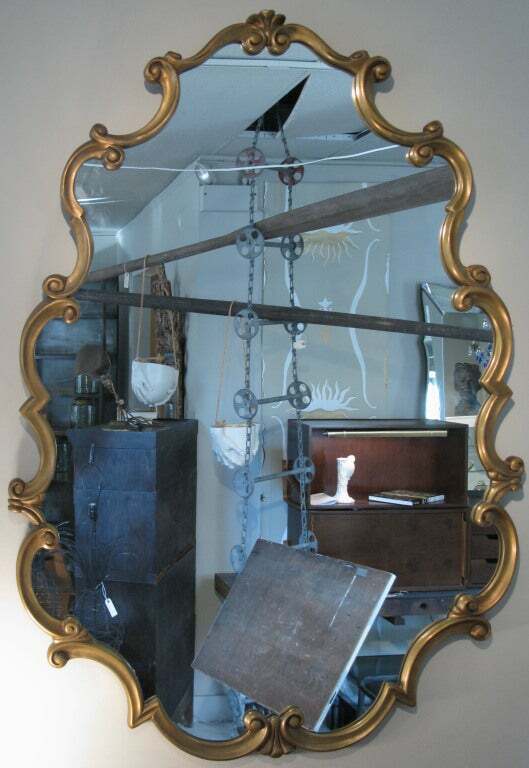 Have to hang about 100 gilt Florentine mirrors and frames. Oh! My desk was delivered! The stain is delicious! However, as much as I've been babying it, some of the urethane has chipped off!!! Come on lady!!!! Why didn't someone tell me NOT to have it varnished???!!! I should have had it oil finished- geesh! Or did she use a poor quality product? 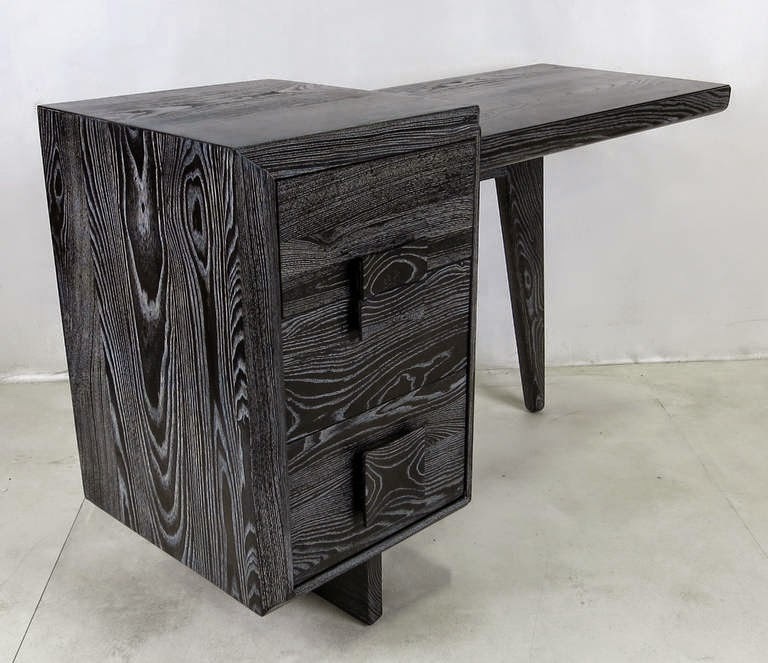 Hmmmm... She's agreed to (re)refinish the desk, but she's been GHOST since her promise!!! It's somewhat unfortunate because it cost $$$$$$$$ to hire her for the job; FAR more than I planned or wanted to pay for the work. 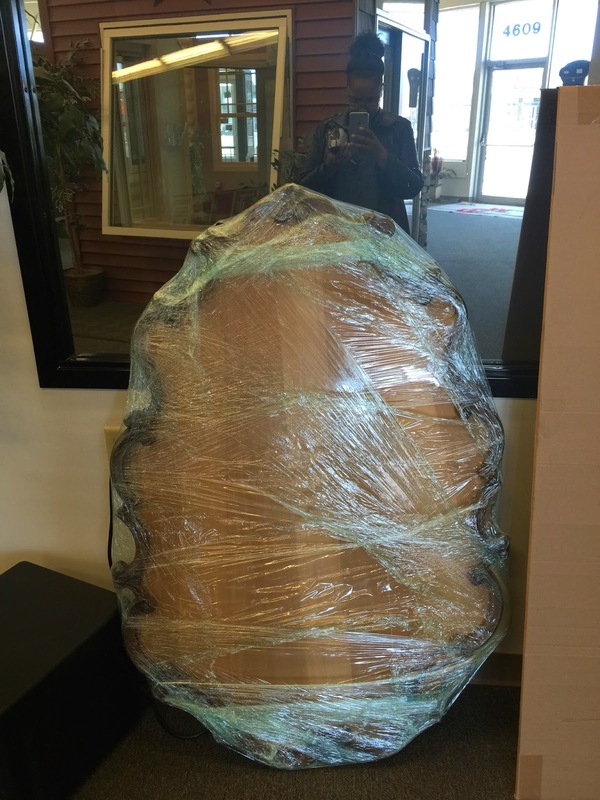 On a positive note, I was able to save $$$ by having my building engineer hang my large mirrors and a map that I purchased from a VERY aggressive auction here in Duluth! As if all that's not enough, my kilim is too large for the sisal I planned to place under it! Oh brother! I'll have to move the sisal to the bedroom. Too bad, because I was really looking forward to that look. 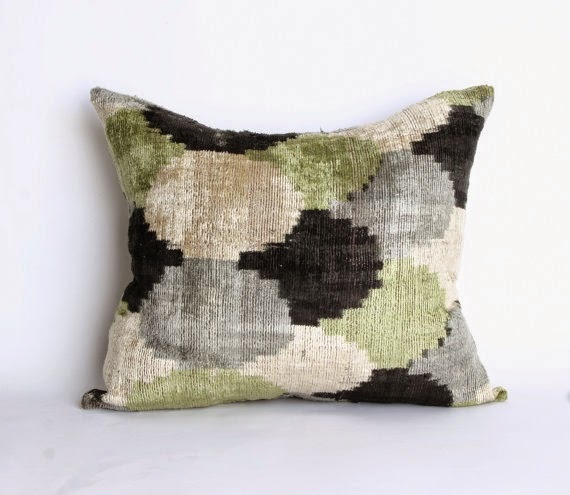 Of course, the kilim will look better with the dag-on WHITE SOFA!!!! Guess what? I felt so desperate for a white sofa that I had an impulse to drive 2 1/2 hours to buy one from IKEA, as a place holder (and I dislike place holders!)???!!!! LOL!! What am I??? Delusional??? How could I have had the thought, especially knowing how I feel about Ikea?!! I cannot even imagine assembling a SOFA, for goodness sake! The sofa conversation will continue after the ORC. I believe I've found one that may just be the panacea! 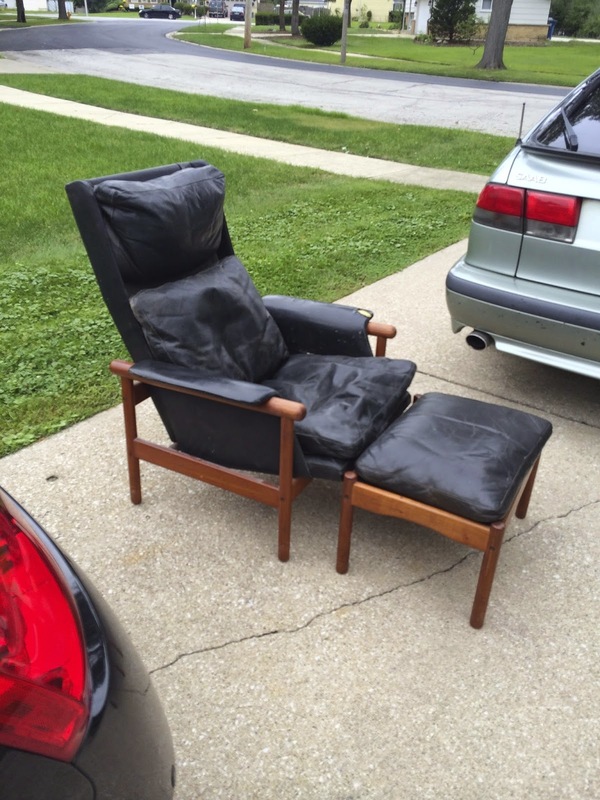 Also, I TOTALLY forgot about my mid century Danish lounge chair and ottoman that need new cushions and webbing. I've been stalking the only company that I know of that sells custom size, down feather gusseted pillows, to no avail because they're not answering their phone or respond to emails regarding placing an order. So, I've decided to get an estimate from an upholsterer to make (hopefully down-wrapped) foam pillow inserts for the chair and ottoman, plus install new webbing. Can he do it for $100??? **UPDATE** NO, he cannot! It's going to be $2hundredsomething; perhaps over 3! In all reality it's a fair estimate, considering what I paid for the 2 pieces and the value of the chair. 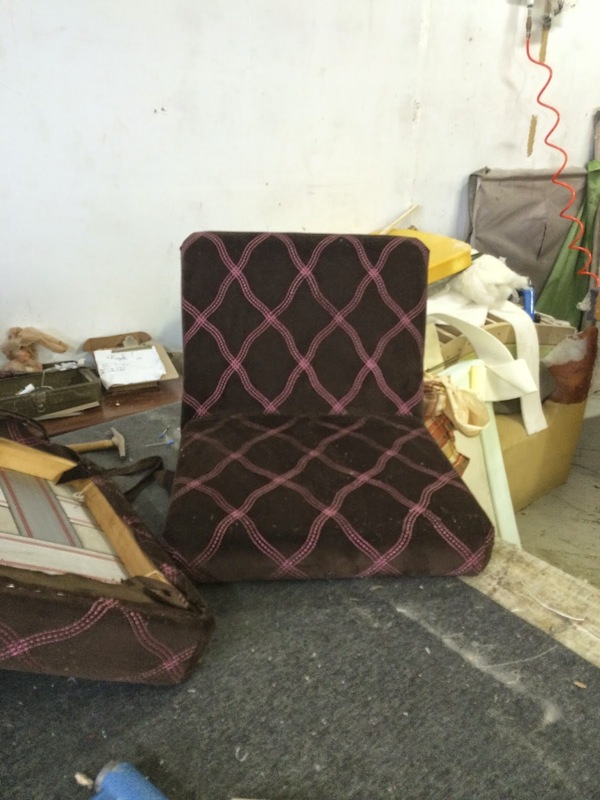 Needless to say, the upholsterer won't have it completed for a month or more. I'm just dreaming about how much I'd like to pay. Ha! 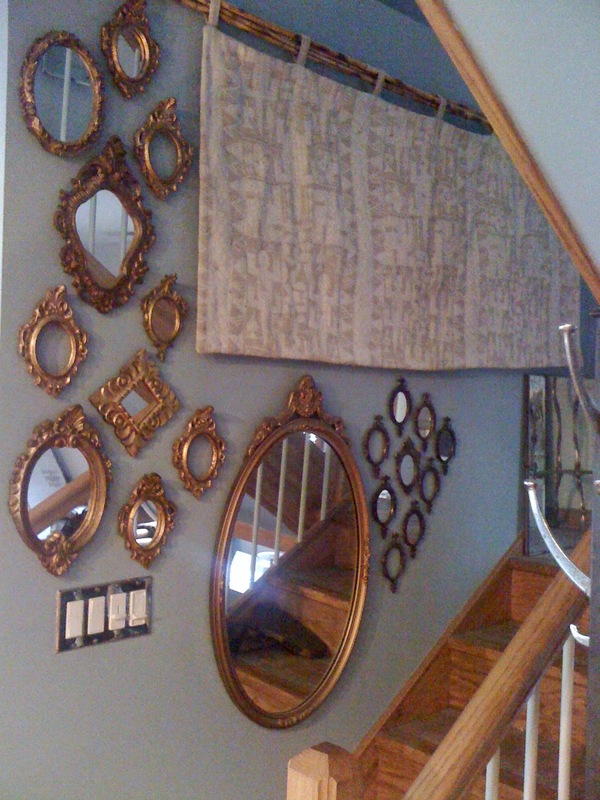 By the way, mirror, mirror may not hang on the wall for week six. I'm disappointed about it. Unless the installer can place the mirror in the frame for $100-$125 it's not going to happen this week. **UPDATE** NO, he cannot; $215 is his estimate. My budget just needs a nap! I feel like now I'm just trying to get everything done for $100! Ha! 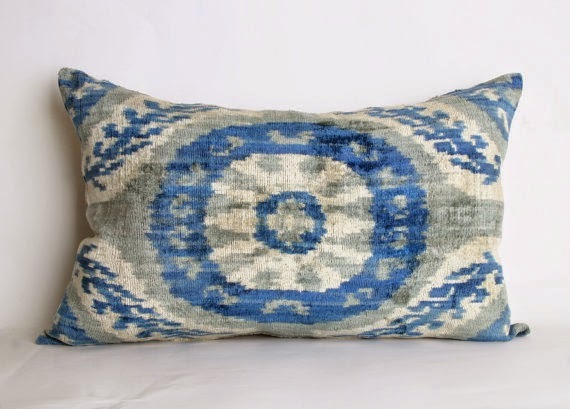 No budget time to receive the silk velvet ikat fabric from Turkey that would have to be shipped to my seamstress in North Carolina for her to sew custom pillows. 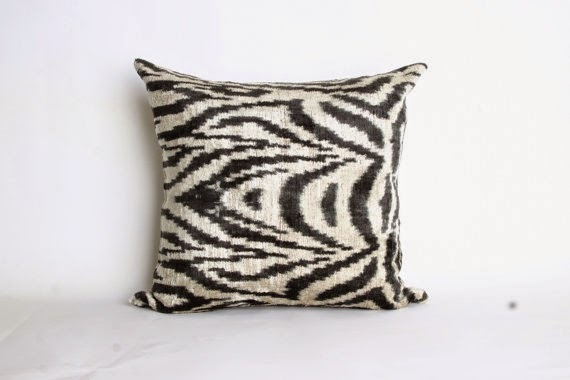 I prefer custom pillows because the dimensions I want are not sold by the seller, additionally, I'm partial to pillows with the same front and back pattern/fabric. The fabric and pillows shown are from etsy. 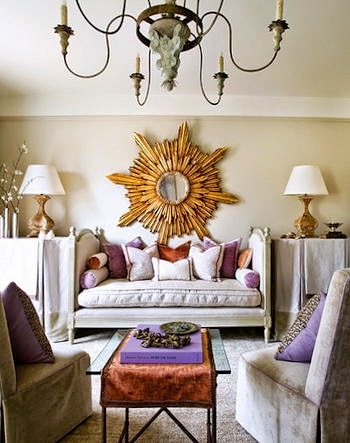 Don't you think, those pillows will better compliment a WHITE sofa over my current one? I'm discovering that I need stuff/tchotchkes/knickknacks! TOTALLY forgot about coffee table books, statuary, vases, flowers, etc., etc. Where the heck is Alex Papachristidis when you need him???!!! I'm so anxious to see the new chairs in the space! Thanks for complimenting my rug! Thank goodness they are a "good-natured" couple! I felt so bad that I actually did treat my girlfriend (since the 1st grade!) & her hubby! LOL! She said they had a fun time on their "adventure"! Hey, are you going to return to blogging??? Aren't they, Leslie? OMG. 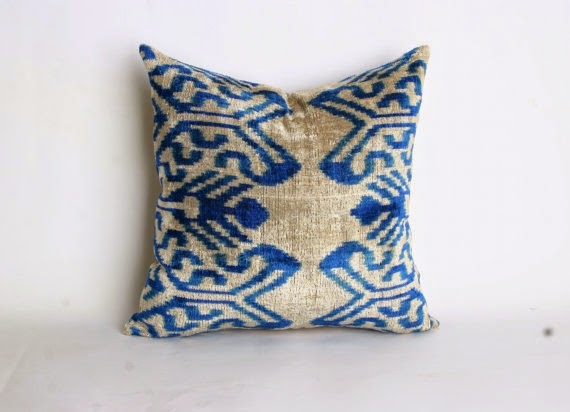 I was never into throw pillows before discovering silk velvet ikat. 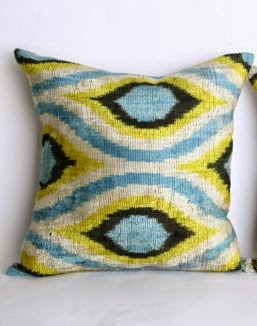 Do you think pillows should be (same design) in pairs or a group of different (coordinating) designs? Daena you accomplish more in an hour than most of us in a week! To think I was doubting you for a moment! I humbly apologize! Those pillows are delectable! 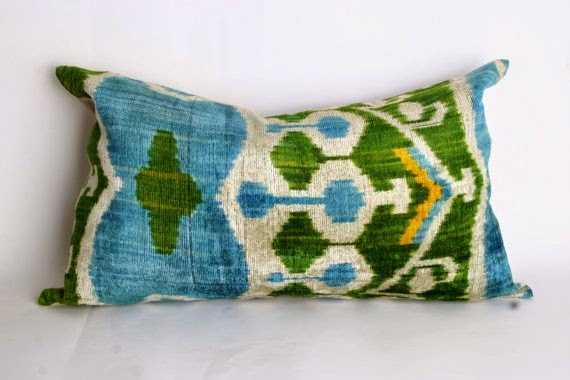 The kilim steal worthy! CAN NOT WAIT (caps lol) to see the finished product! Hey Denise!!! Aren't those pillows fantastic?! 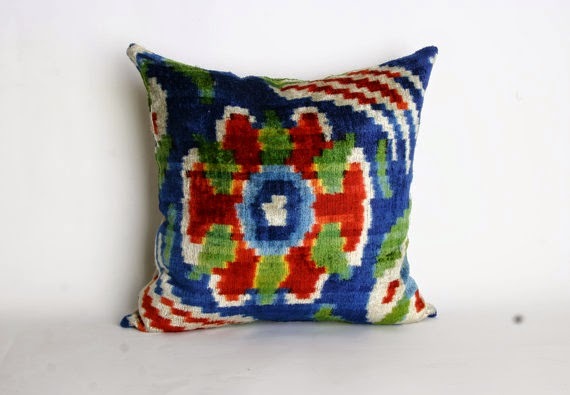 I love my kilim, however, I think I'll love it more with a WHITE SOFA (cap letters!!!)!!! LOL! 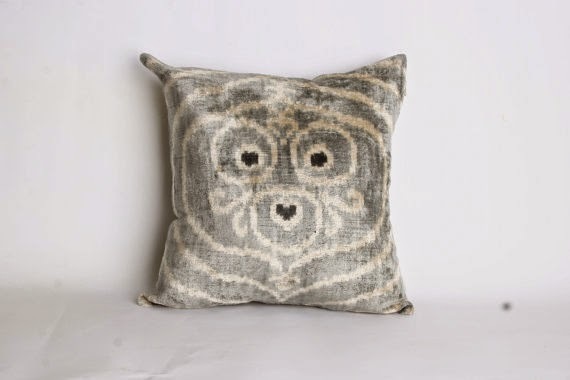 I'll ask you the same question, Do you think throw pillows are more interesting in pairs of the same design or a group of coordinating designs? I'm new to the world of throw pillows. So nice to chat with you, again, Denise! You're hilarious, Denise, you crack me up!! I think coordinating patterns is the way to go! Thanks for the vote! omg you are hilarious! I can totally relate to the chairs. I've bought from CL on impulse and then decided I didn't really like (or found something better the next day on CL). I love the 2 new chairs though!! And I actually bought that white IKEA sofa on impulse too!!! Actually I just wanted a white sofa so bad and couldn't afford a half nice one so I just bought that one. Kept it for about 6 months then sold it... oops. Can't wait for your reveal next week!! Thanks for stopping by Claire! 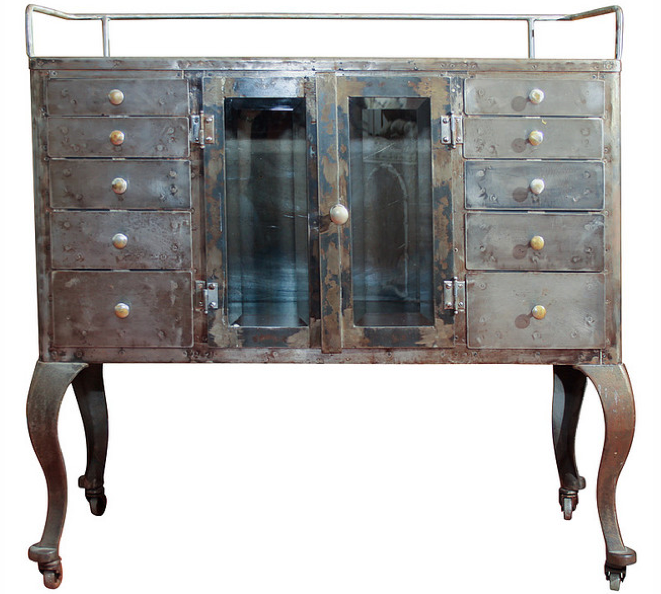 You had me LOLing about the KARLSTAD! 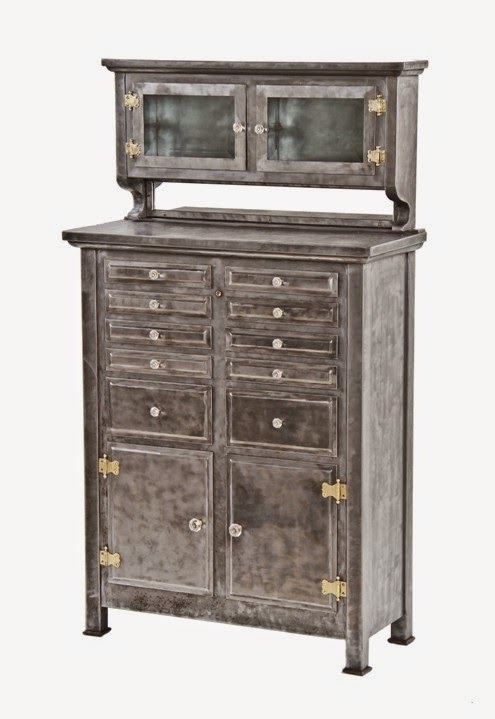 I will say that the cool thing about IKEA items is that the (re) sale super fast on CL! I LOVE your bog!!! I can see how you like my new chairs- love your Scandinavian chair + ottoman. Our chairs are cousins! 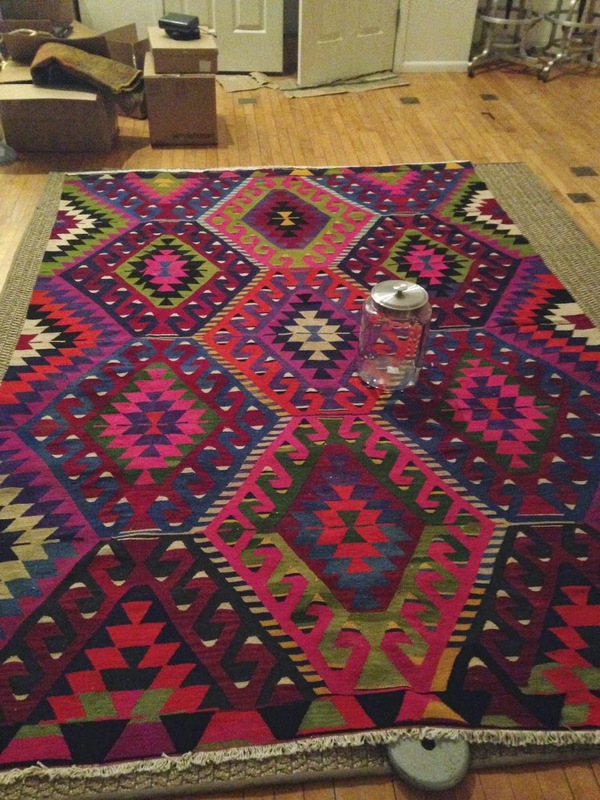 Love your living room rug as well! Heading back to your blog to comment! Thanks so much for visiting & see you on WEEK SIX! Gees, I am tired just by reading what you still have in store. I'm very excited and anticipating the revealing of this project. That was a good decision to not get that sofa from IKEA. By the way, those tools haute. Hiya Ted! Don't make me laugh about the IKEA sofa!!! LOL! Thanks so much for visiting me!! Stay tuned... The party ain't over! The fat lady has yet to sing! You OK? Comments not enabled for Week 6 and updated pictures not published thruout the day. Thanks, Denise!!! Totally makes sense that I forgot to enable comments!!!!! This has been hell week!!! I'll be posting by tomorrow, you know I have a story! Thanks for hanging in with me, Denise! Daena can't wait to read!